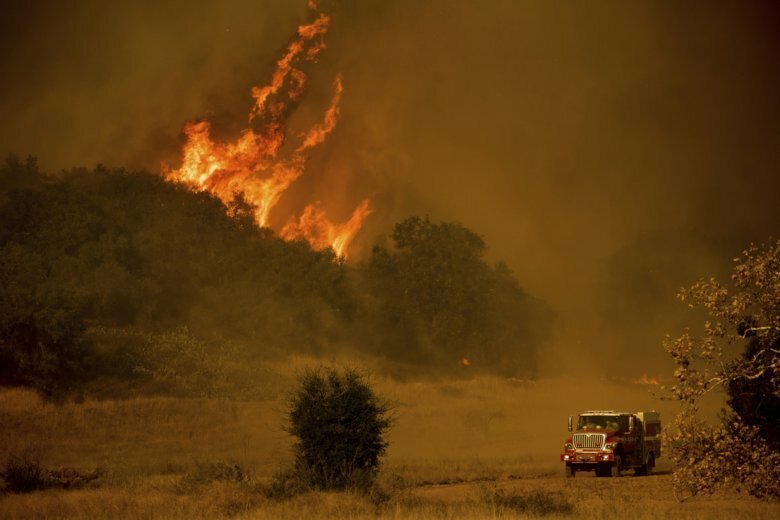 LOS ANGELES (AP) — Southern California Edison said Tuesday its equipment likely sparked one of two ignition points for the massive wildfire that tore through California’s central coast last year. Edison hasn’t determined if its equipment started the second ignition point nearly 6 miles (10 kilometers) away. The Thomas Fire was the second-largest in California history, scorching 440 square miles (1,140 sq. kilometers) and destroying more than 1,000 buildings in Ventura and Santa Barbara counties. Two people died.